Probability, Random Variables, and Random Processes is a comprehensive textbook on probability theory for engineers that provides a more rigorous mathematical framework than is usually encountered in undergraduate courses. It is intended for first-year graduate students who have some familiarity with probability and random variables, though not necessarily of random processes and systems that operate on random signals. It is also appropriate for advanced undergraduate students who have a strong mathematical background. 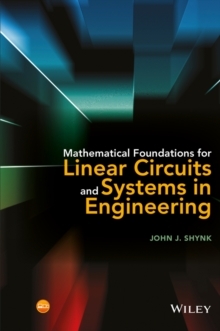 The book has the following features: * Several appendices include related material on integration, important inequalities and identities, frequency-domain transforms, and linear algebra. These topics have been included so that the book is relatively self-contained. One appendix contains an extensive summary of 33 random variables and their properties such as moments, characteristic functions, and entropy. * Unlike most books on probability, numerous figures have been included to clarify and expand upon important points. Over 600 illustrations and MATLAB plots have been designed to reinforce the material and illustrate the various characterizations and properties of random quantities. * Sufficient statistics are covered in detail, as is their connection to parameter estimation techniques. These include classical Bayesian estimation and several optimality criteria: mean-square error, mean-absolute error, maximum likelihood, method of moments, and least squares. * The last four chapters provide an introduction to several topics usually studied in subsequent engineering courses: communication systems and information theory; optimal filtering (Wiener and Kalman); adaptive filtering (FIR and IIR); and antenna beamforming, channel equalization, and direction finding. This material is available electronically at the companion website. 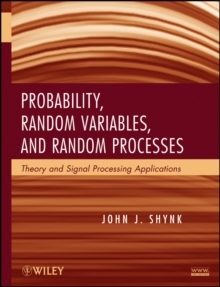 Probability, Random Variables, and Random Processes is the only textbook on probability for engineers that includes relevant background material, provides extensive summaries of key results, and extends various statistical techniques to a range of applications in signal processing.